Armour Hull Gun Mantlet: 15.9mm. Variants M9A1: Ring mounted .50 cal. Notes The M9 was similar to the M5 and also produced by International Harvester, but with storage systems in line with the M2. 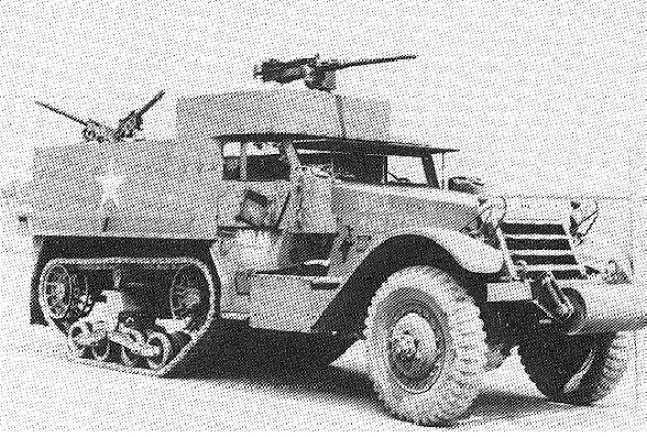 It had a pedestal mounted heavy machine gun which was altered on later variants to a ring mount plus Pintle three mounts for .30 cal machine guns. As with the M5 the M9 was allocated to lend lease and saw service with British and Soviet forces in World War Two.